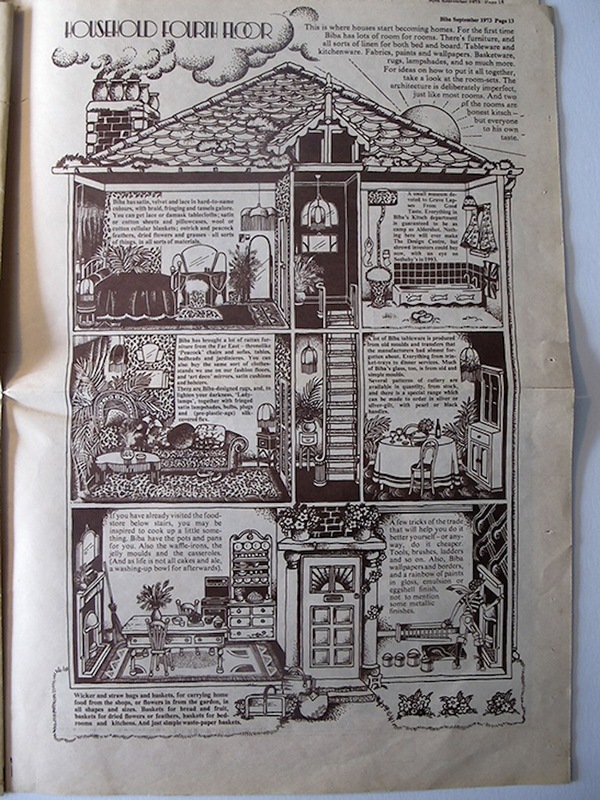 It all started in 1964, when a small-time mail order business called Biba’s Postal Boutique advertised a pink gingham dress in the Daily Mirror that was similar to one worn by Brigitte Bardot. 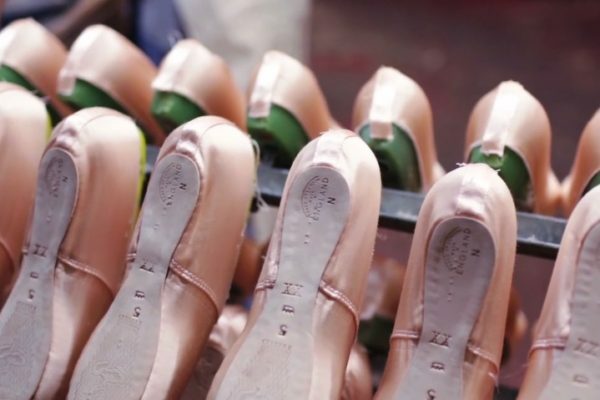 Over 4,000 orders were in the next day and went up to 17,000 in total. Behind this gingham mod dress was Polish-born designer, Barbara Hulanicki, who was able to open her first chocolate-box boutique in 1964 behind Kensington High Street after growing out of the mail order business. 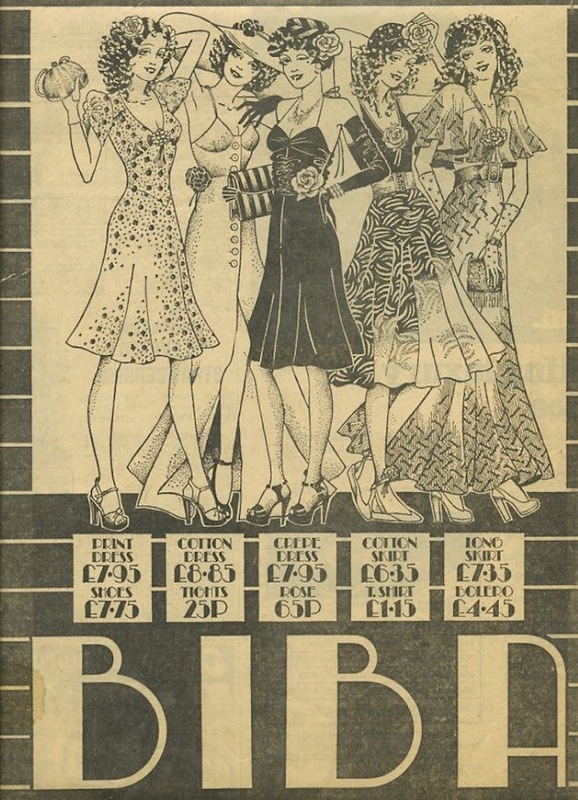 The Biba boutique only sold one type of dress in one size, but that didn’t stop young fashionistas from coming. The store was sold out of within an hour on the first day. 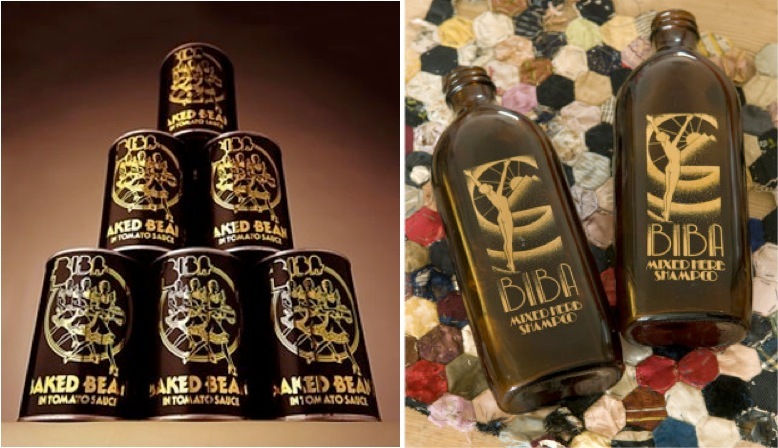 One of the reasons for Biba’s initial success was the support of Friday night television show Ready, Steady, Go. 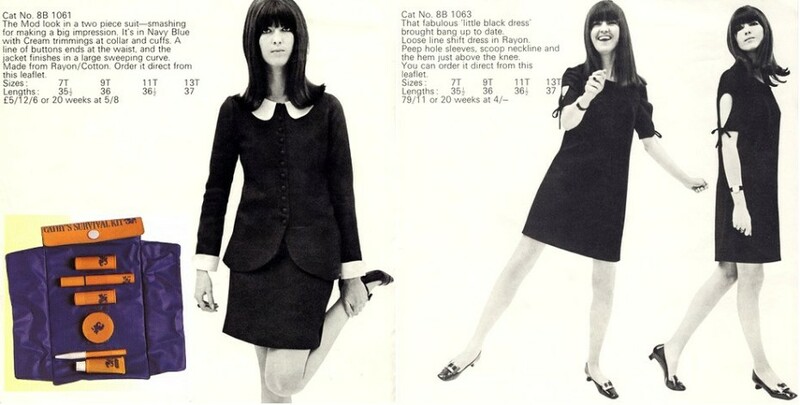 Whatever Biba outfit the show’s host wore on the Friday night prime time slot was available to young girls the next day, for a very affordable price. 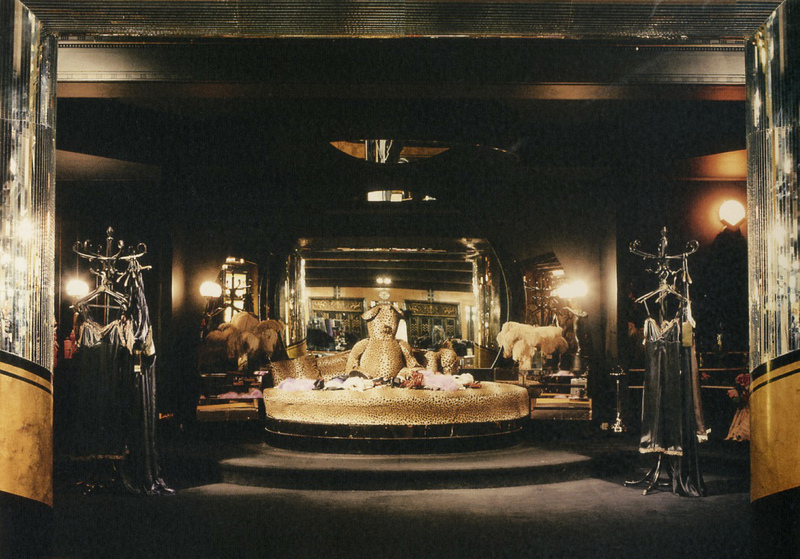 But Biba’s real imprint on fashion history however, came with the Big Biba store, which opened in 1973 in a seven-story building, formerly Derry & Toms department store, on Kensington High Street. 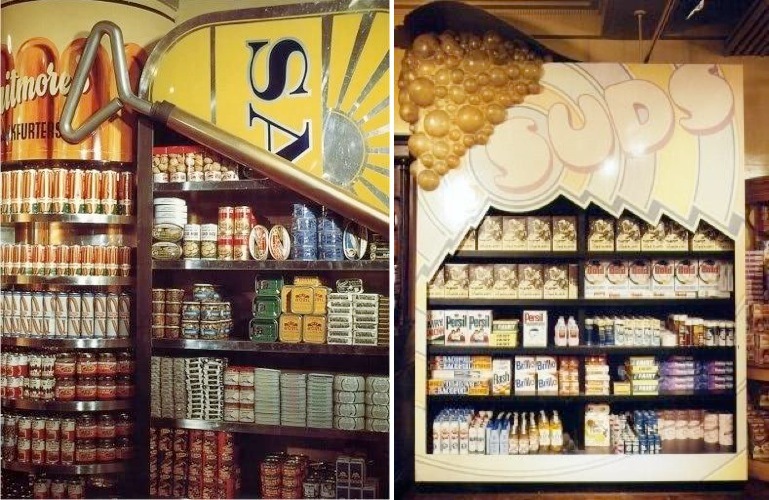 A Willy Wonka factory for fashion, the Big Biba store was an extravaganza of crazy interior design and clever marketing. 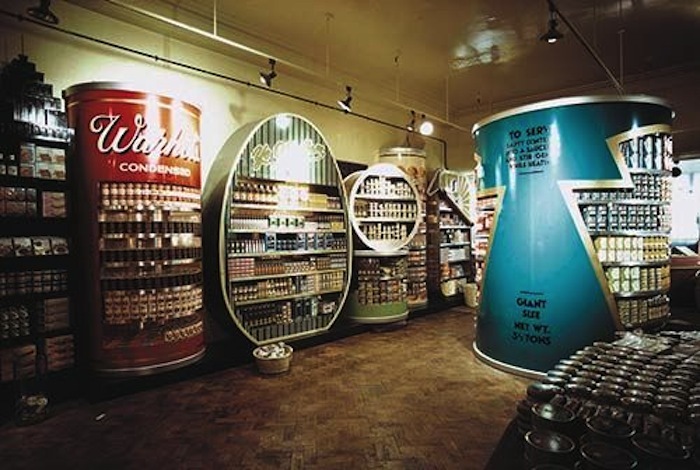 As soon as it opened its doors it was the place to be, attracting up to a million visitors a week, making it one of the most visited tourist attractions in the city. 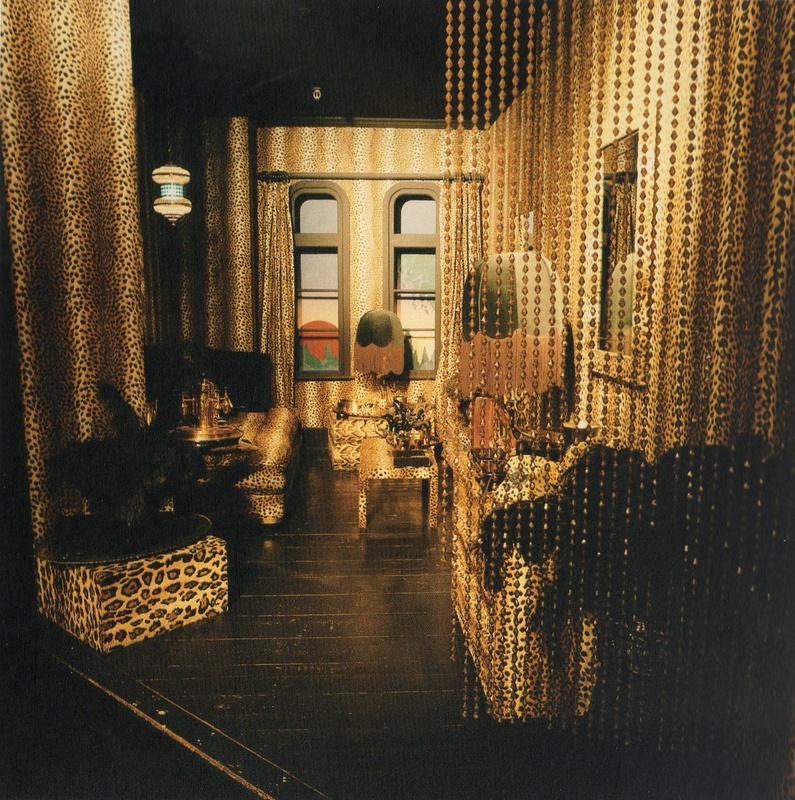 Each floor had its own decadent theme with its own particular design. 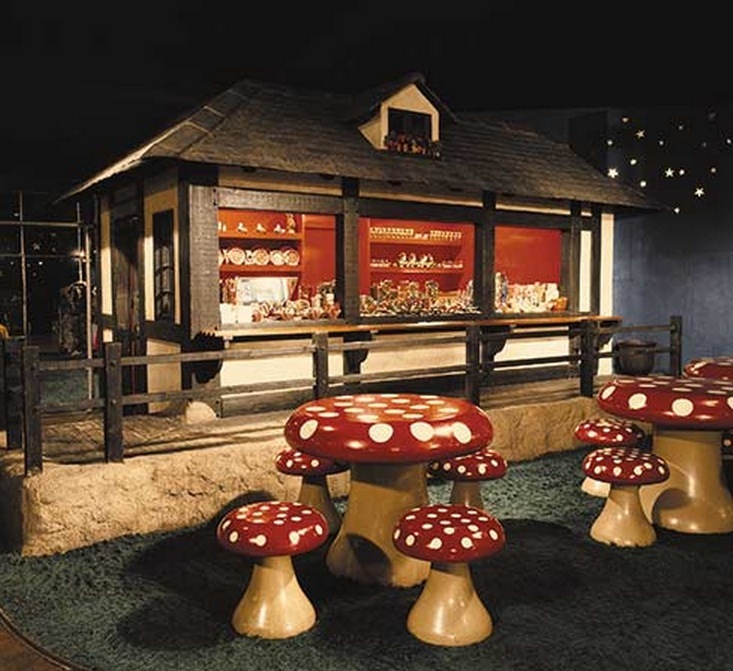 Starting with the children’s floor, there was a storybook village with a castle, a saloon, a carousel and a thatched house kid’s café with toadstool picnic tables. 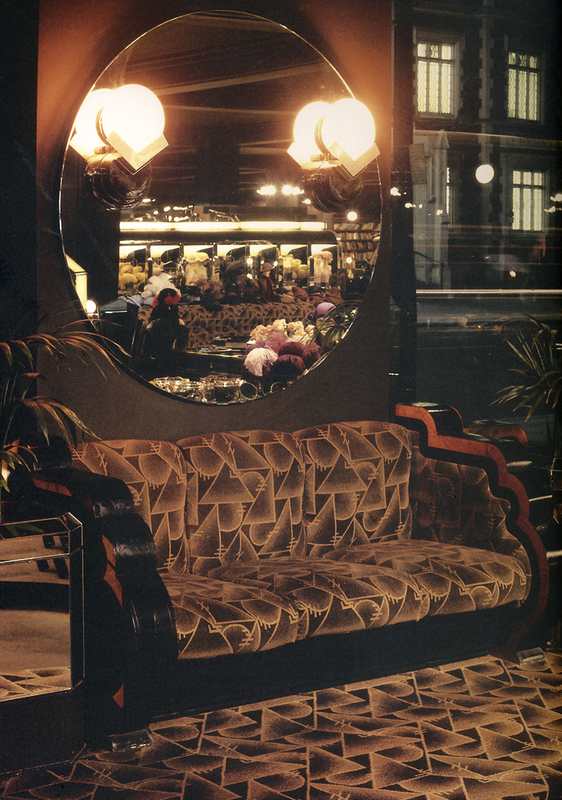 Photographs via Kasia Charko’s Biba archive blog. 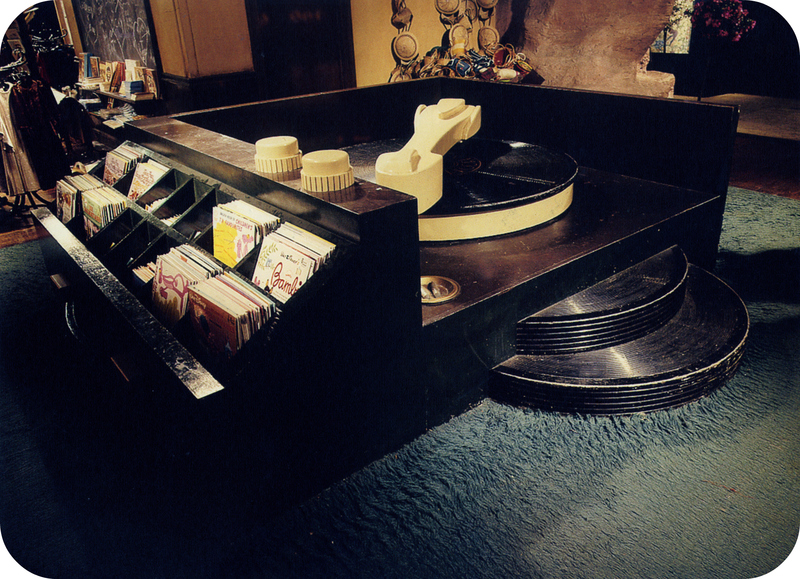 The music department had a fully functioning giant record player. 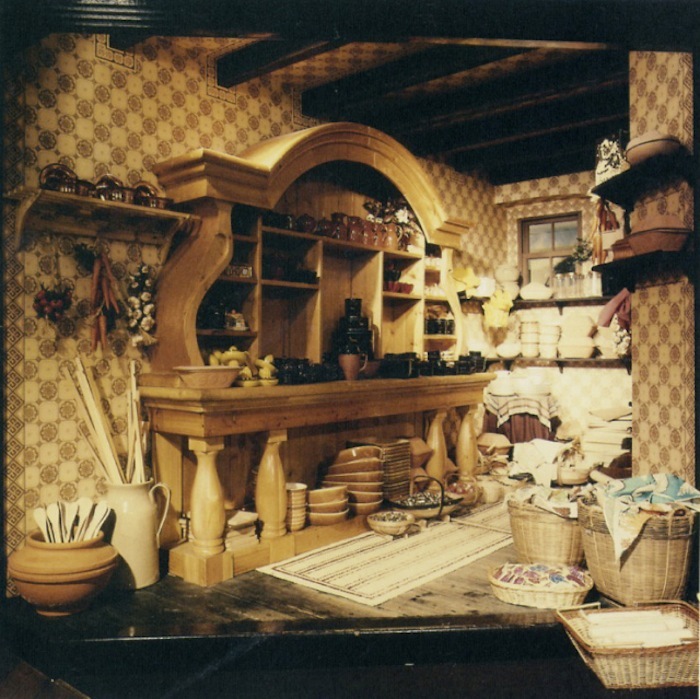 The food department was sectioned into separate units that each contained one type of item. 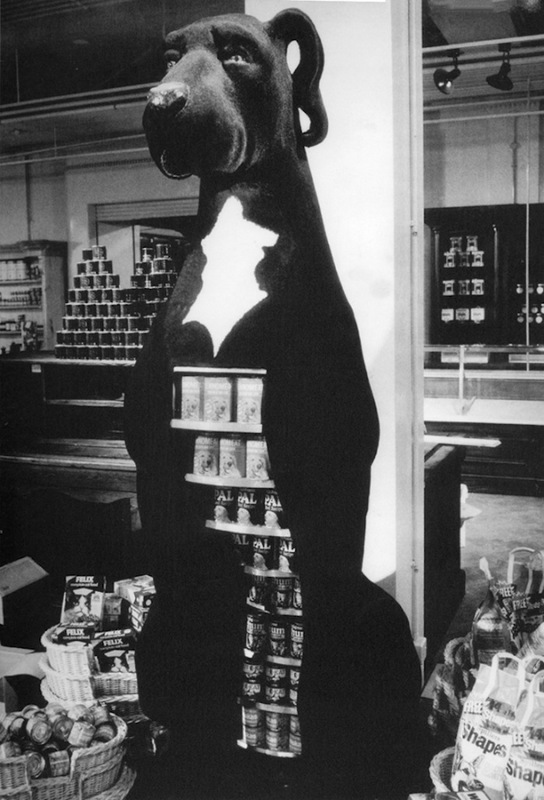 There was a section modelled after Hulanicki’s great dane Othello in which you’d find only dog food; a soap bar with cleaning products; a gigantic baked beans can filled with baked bean cans; and a can of Warhol’s Condensed Soup which contained – you guessed it – cans of soup (not Warhol). 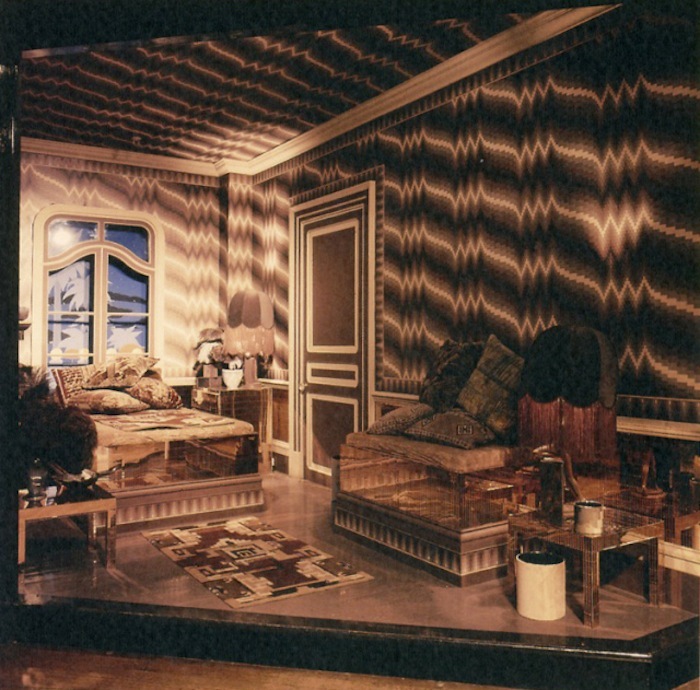 Nightwear and lingerie were sold on a boudoir platform complete with a bed, nightstand and wardrobe. 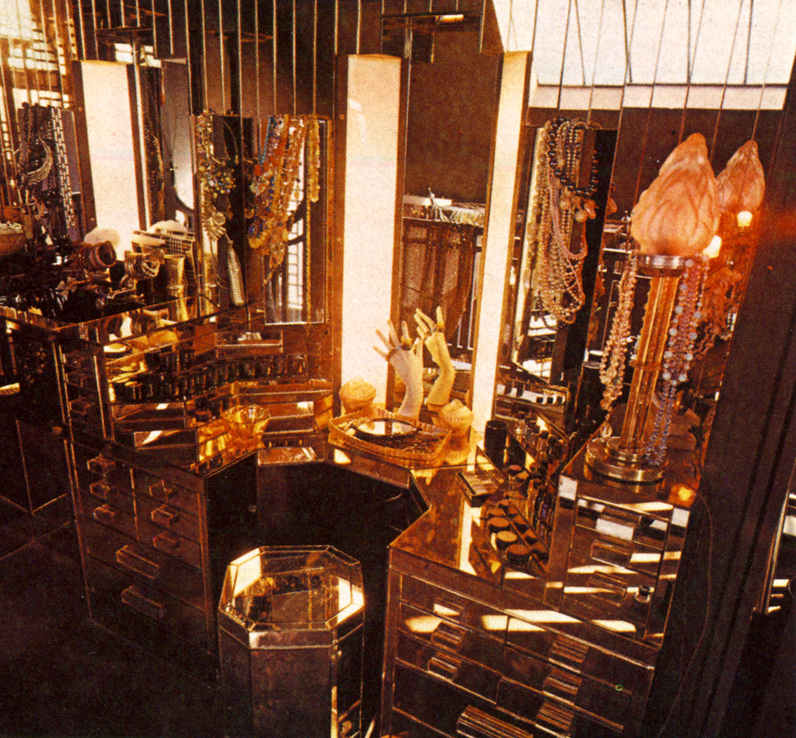 The communal changing rooms were Egyptian themed and held marvellous Amun-Ra mirrors. 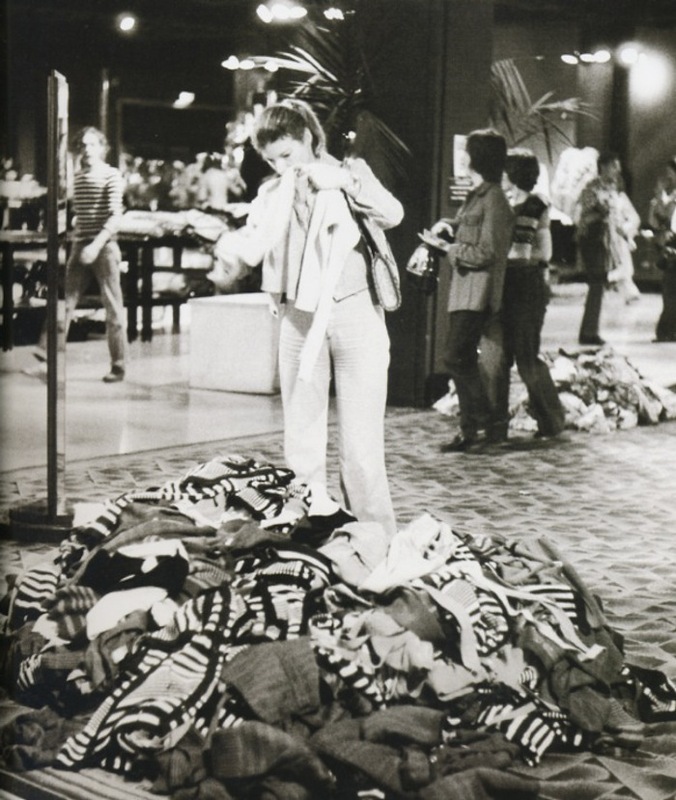 Still, many customers, even celebrities, opted to skip the changing rooms all together and changed in the middle of the store. 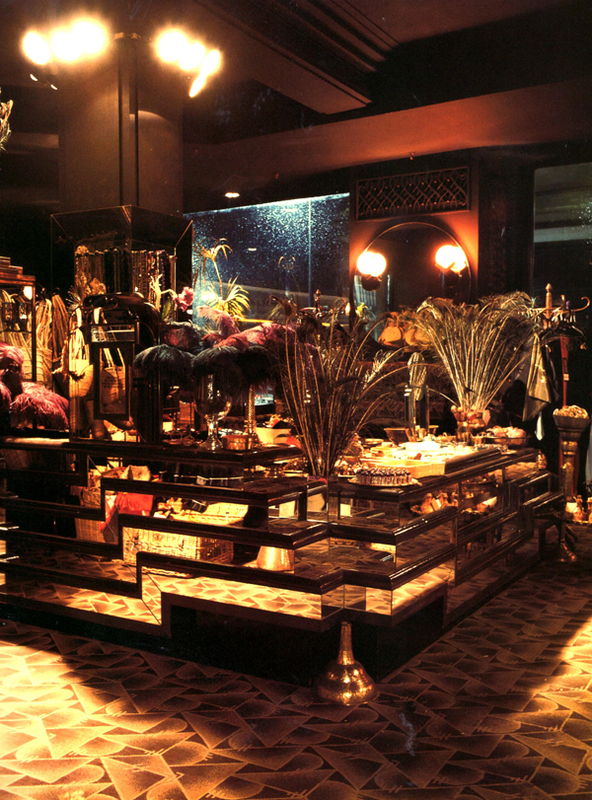 The general design of the store was inspired by old Hollywood glamour and Art Deco style. 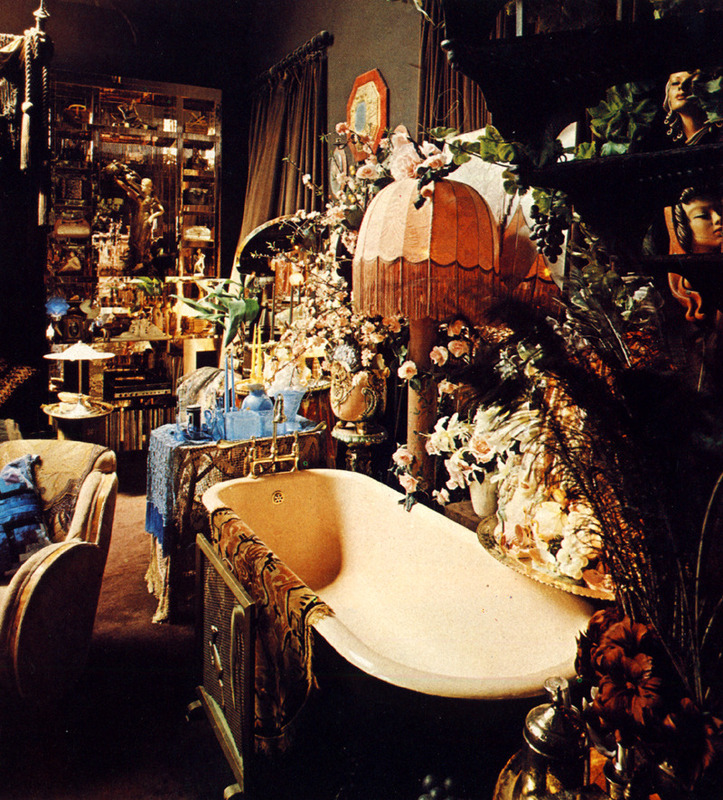 The store was kept very dark and there were mirrors and peacock feathers everywhere. 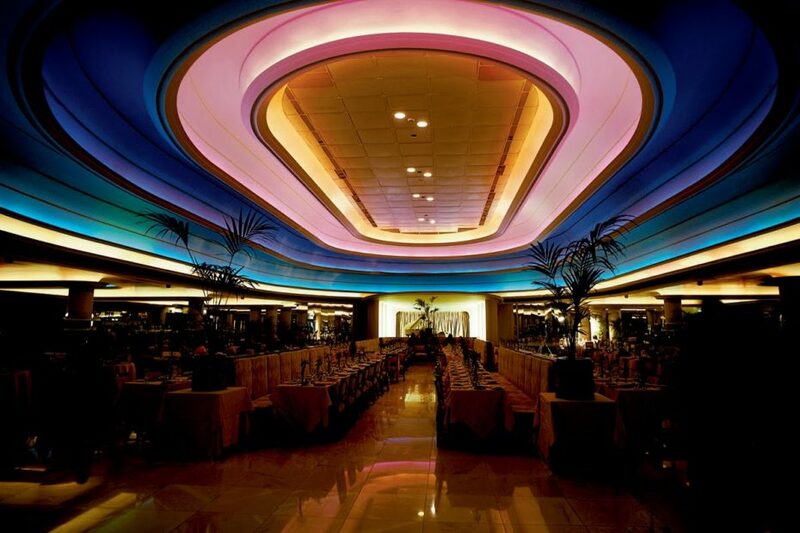 Most iconic at Big Biba was the Rainbow Room Restaurant, a large open space with giant rainbow colored lighting on the ceiling. 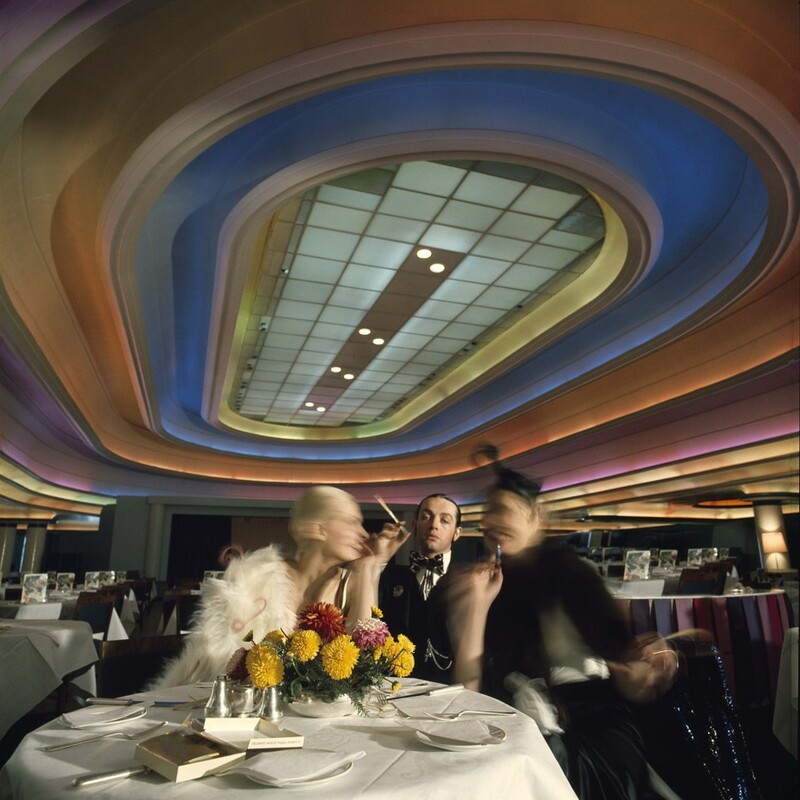 It was a great place for star spotting, a go-to hangout for celebrities like Mick Jagger, Twiggy, Julie Christie and Tony Curtis. It was also used as a concert venue and several artists, including David Bowie recorded music videos there. 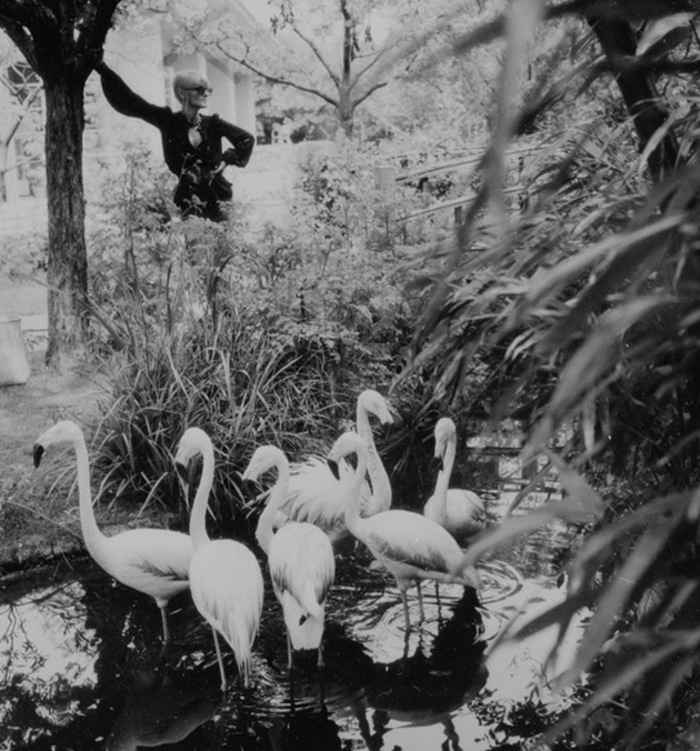 Another famed feature at Biba were the Kensington Roof Gardens where you could enjoy a cream tea or a cocktail amongst exotic plants, flamingos and, according to Barbara Hulanicki, some particularly vengeful penguins. 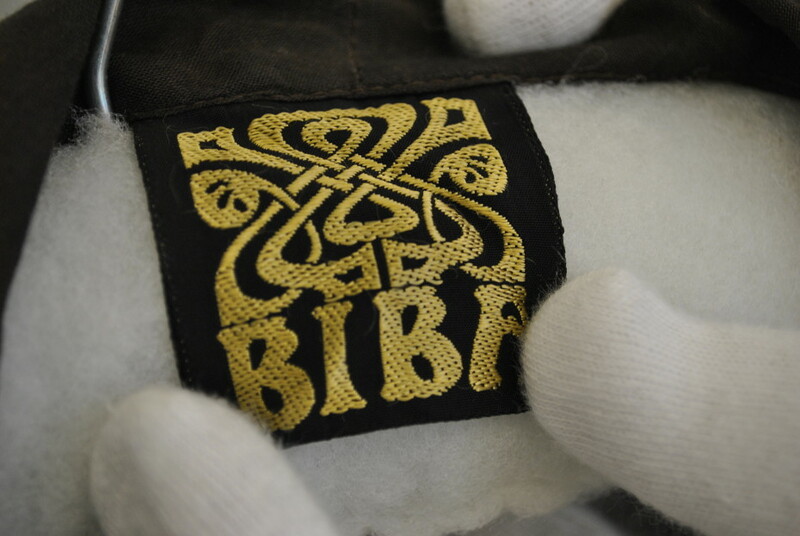 About 70 percent of Biba’s merchandise was house’s own brand and the Biba logo itself was as iconic as the Biba look. It was stamped on everything in the store, from food to makeup to the wallpaper. 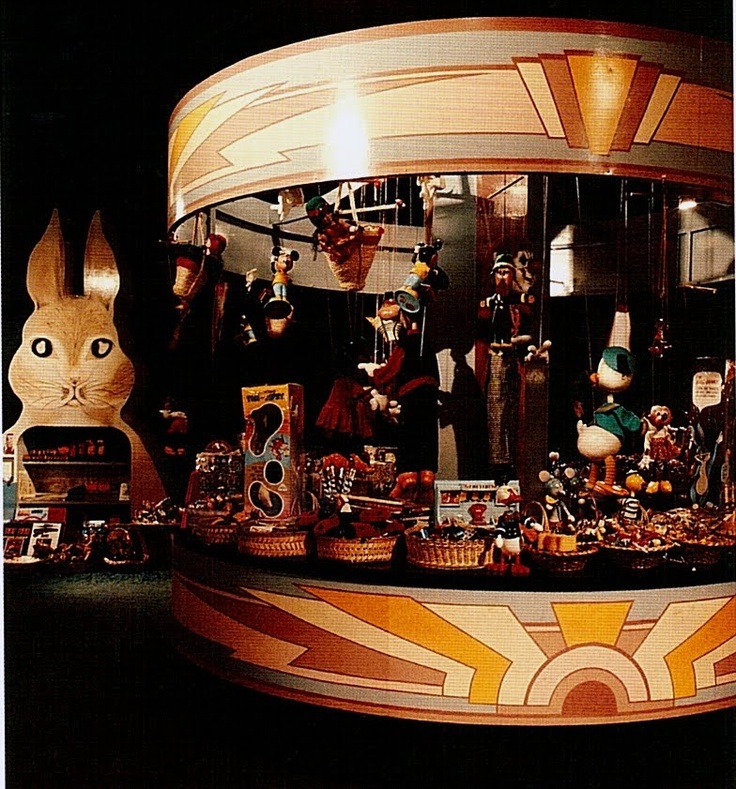 There was even a special “Logo Shop” where you could buy Biba playing cards, matchboxes and coloring books. The distinct Art Deco style of the logo (originally designed by Antony Little) was adapted to suit different products. 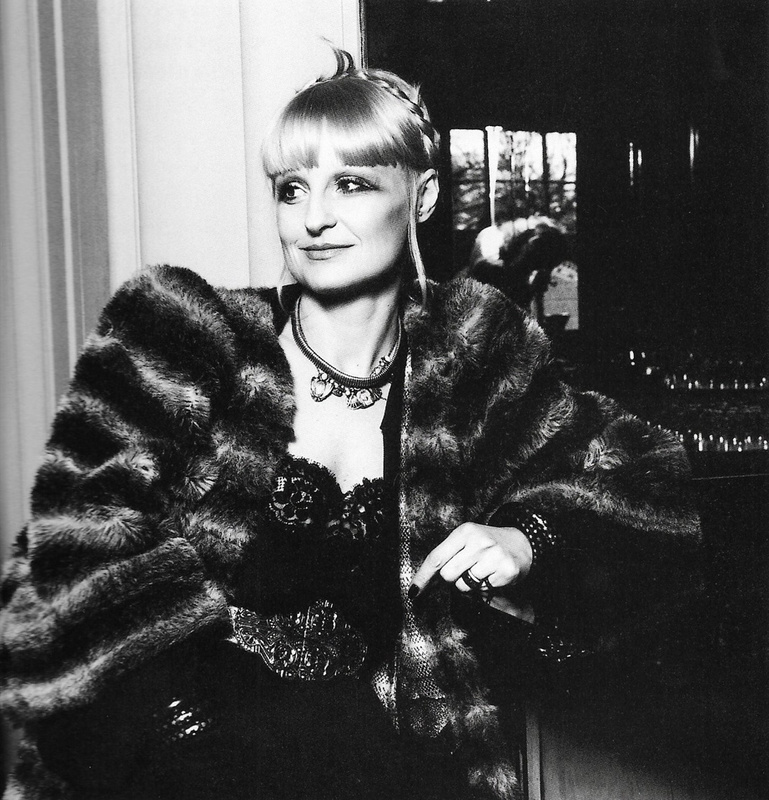 Graphic designer Kasia Charko was responsible for designing custom Biba logo’s for different departments as well as some Biba advertisements. 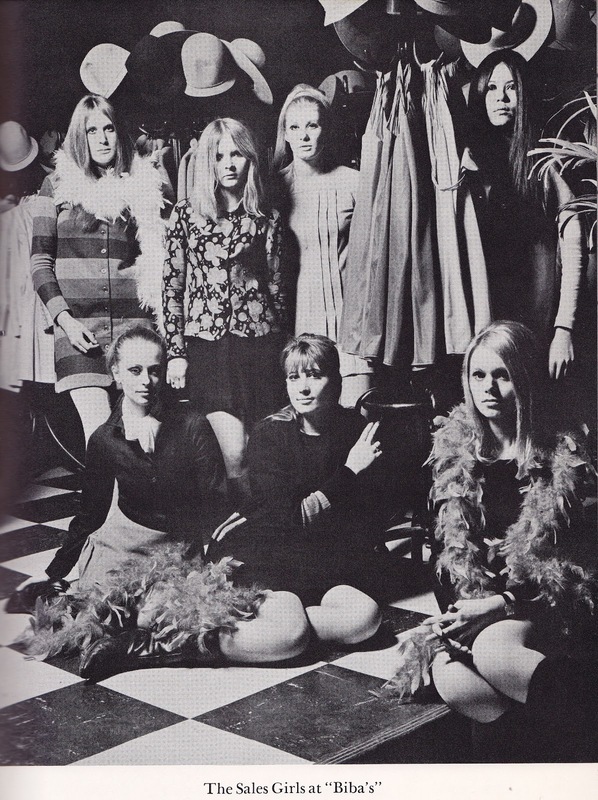 Although the store was open to the public, Biba catered to a very specific type of girl; young, skinny and pale. All sales-girls fit this description and Vogue’s Anna Wintour even once worked as a Biba Saturday Girl. 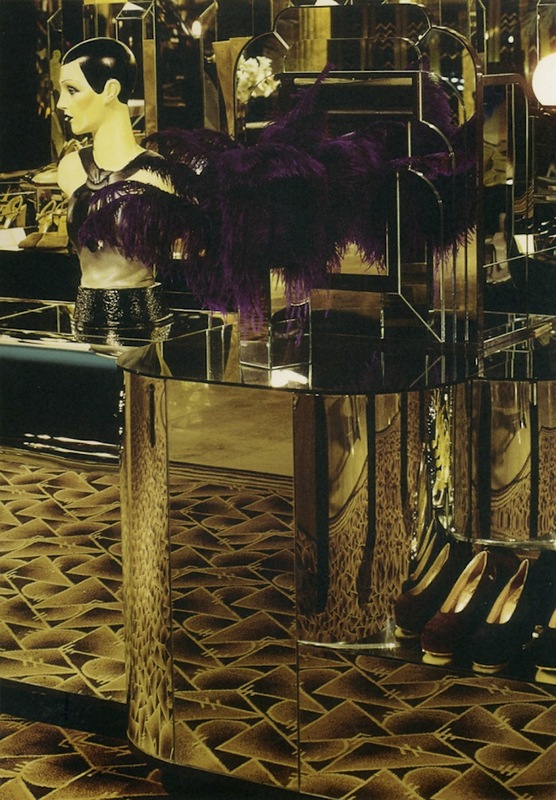 The iconic Biba or “Dudu” look consisted of dark, short and tight dresses, dark lips and makeup and lots of Biba accessories to complete the look. 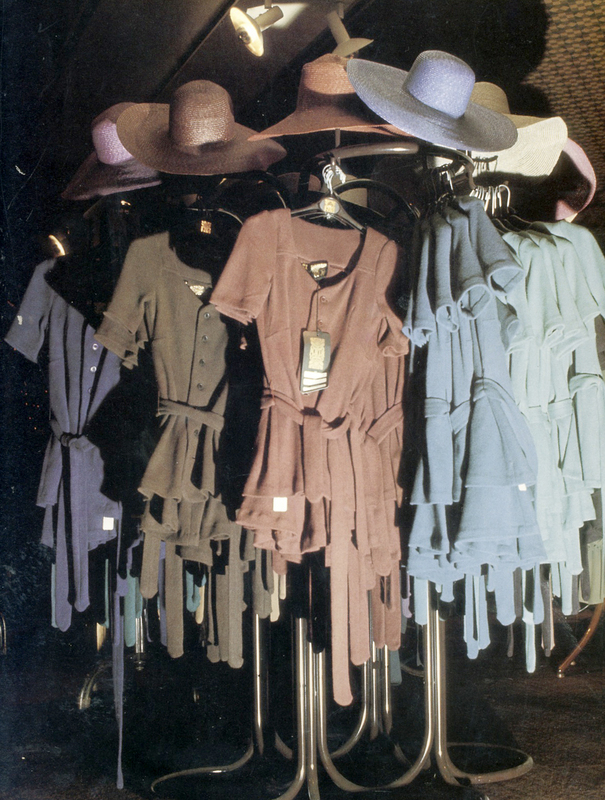 The fact that many of these outfits were itchy and didn’t allow for much room to move didn’t matter– if you wanted to be a Biba girl, you put up with it. 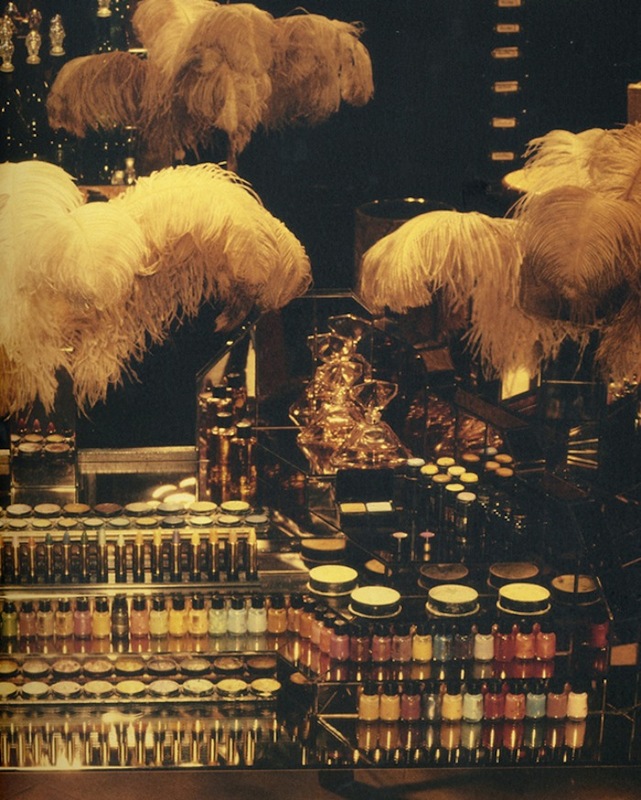 Biba was also the first store to allow customers to try on make up before they bought it. 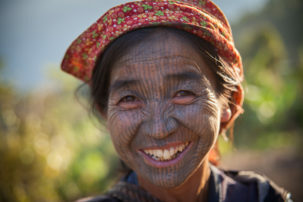 Heaps of girls came to the store bare-faced early in the morning, put on free makeup and headed off their jobs. But Biba’s star rose as quickly as it fell. Only a year after the grand opening, Britain’s falling economy and the financial strains of keeping up the extravagant store resulted in the demise of the fashion store. Biba was briefly kept alive with a shareholding deal, but after Barbara left due to creative differences, the shareholders decided that selling the building would earn them more than trying to keep the store running. 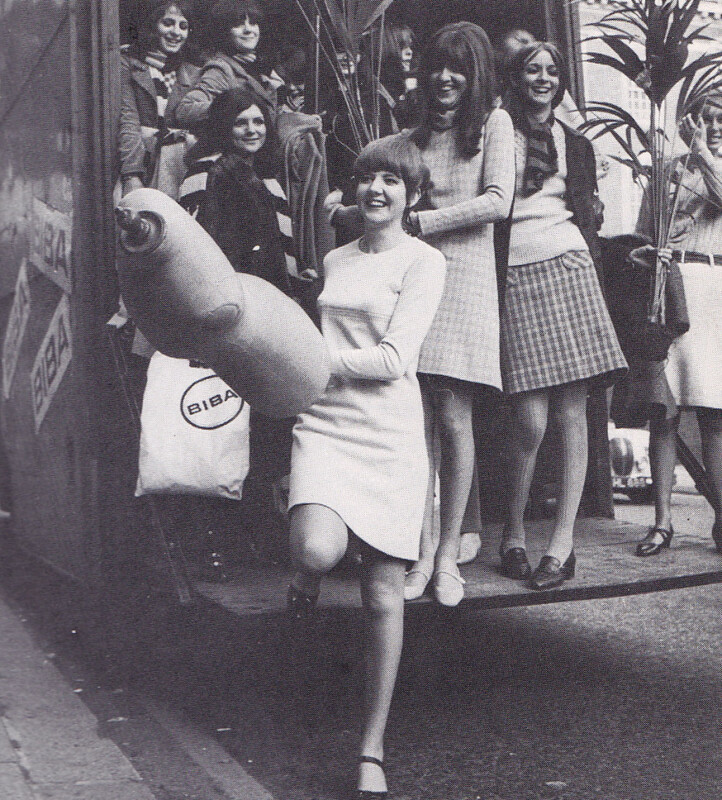 Today, there is little trace of the short-lived but iconic swinging sixties store on the high street. 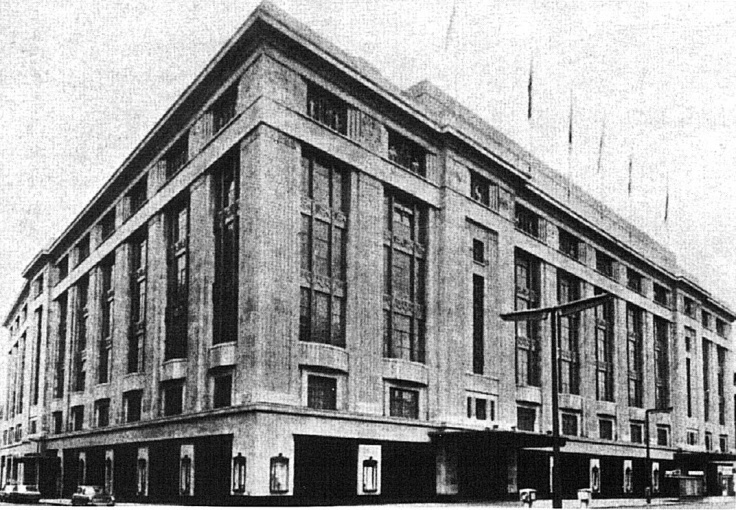 The old location is now used by Marks and Spencers, a GAP store, H&M, Sony Music offices and a gym. 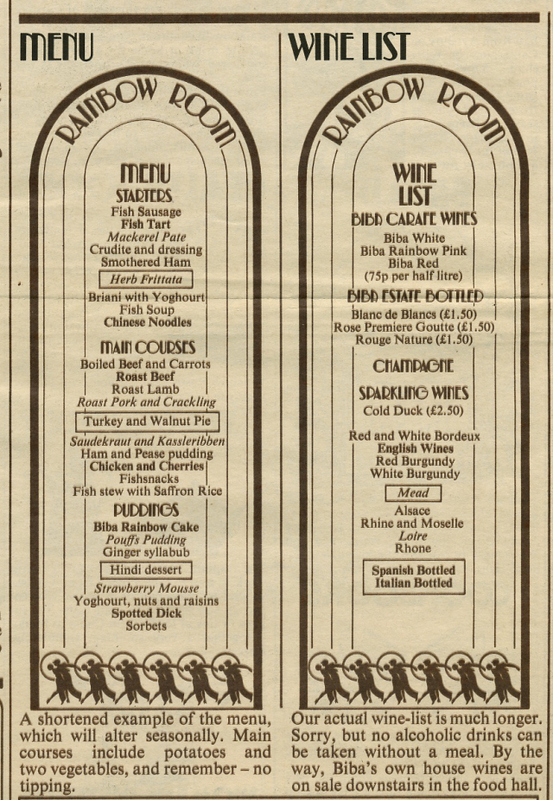 While the Kensington Roof Gardens still exist as a restaurant and bar, Biba’s multi-colored rainbow room is now filled with state of the art gym equipment. 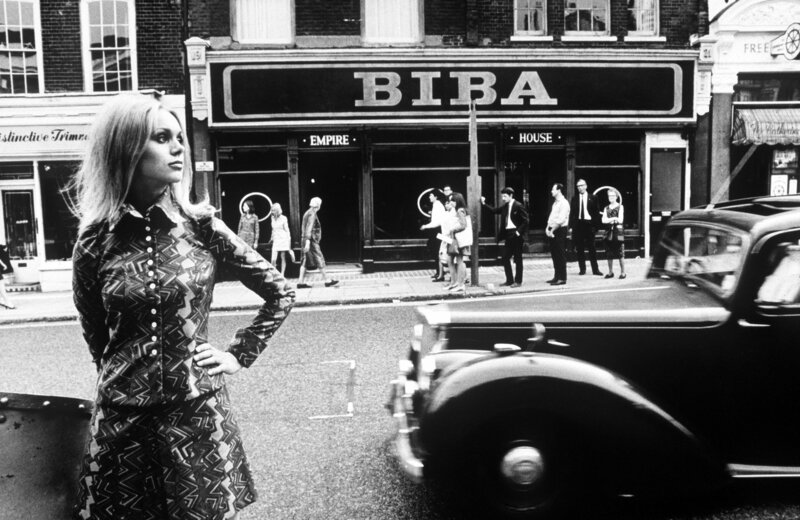 Although you can’t visit the store anymore, you can still get your hands on some new Biba fashion. 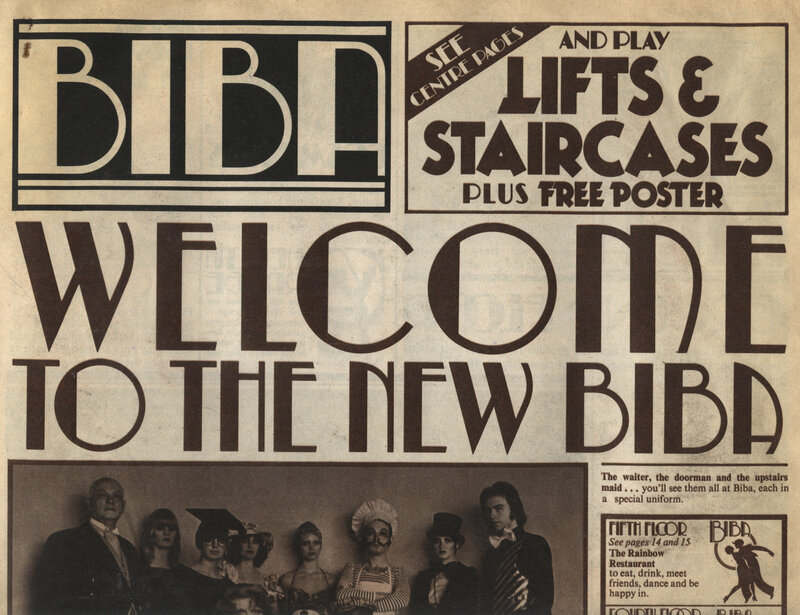 Over the past few decades, several designers have tried to relaunch the Biba brand (all without Barbara Hulanicki’s involvement). 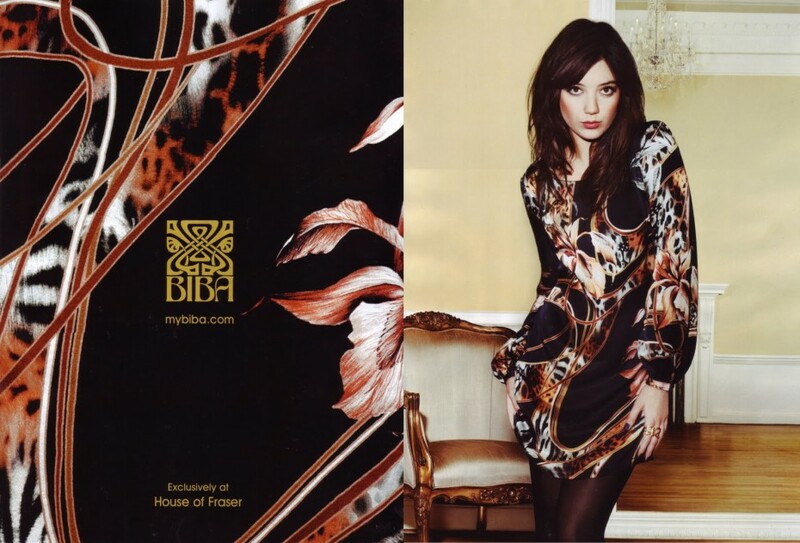 Most of them failed miserably, but in 2009, the department store House of Fraser bought the rights to the Biba label and successfully reintroduced the brand with London “It Girl” Daisy Lowe as its new face. 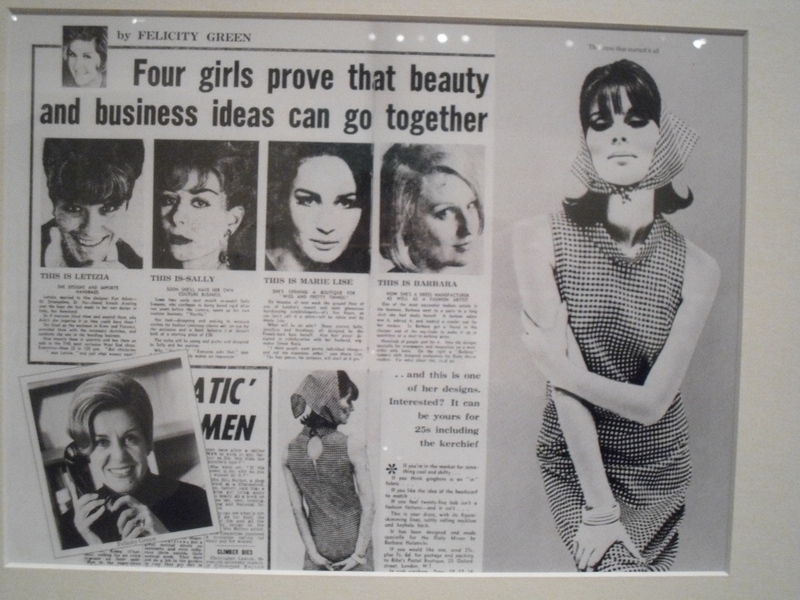 Barbara Hulanicki was originally displeased with this venture (again, she wasn’t involved) but later signed a consulting contract with House of Fraser and also designed a few capsule collections for Topshop. She currently resides in Miami, Florida where she has an interior design business. 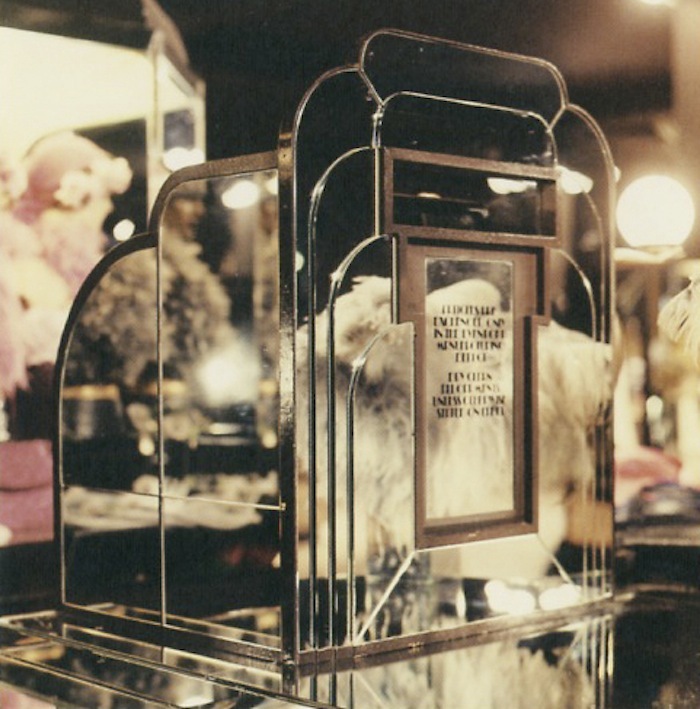 Biba’s in-house graphic designer, Kasia Charko, has her own blog which acts as a sort of online historical archive for the brand. 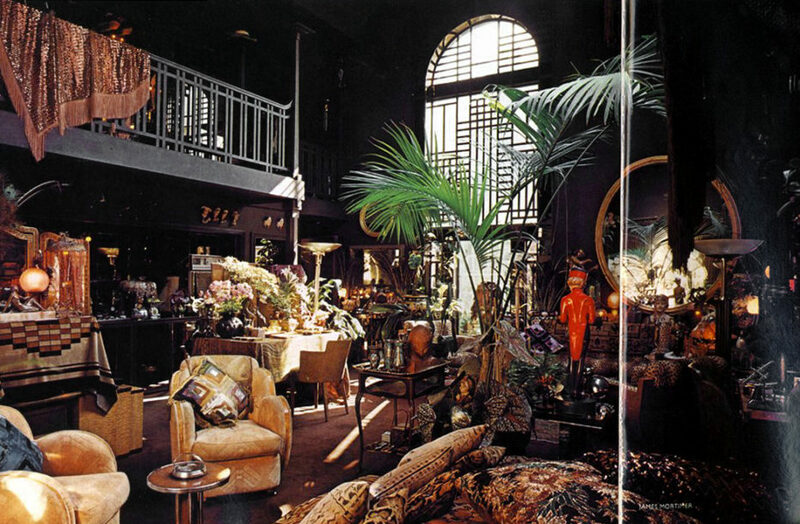 It’s a treasure trove for vintage Biba products and advertising and shares all the insider gossip on working for Biba alongside Barbara until the store’s untimely closure. There’s also a documentary worth seeing called Beyond Biba: A Portrait of Baraba Hulanicki. 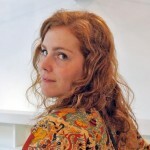 Inge Oosterhoff is a Dutch graduate of North American Studies, currently living in the Netherlands. With a love for the odd and the unexpected she is on a never-ending search for new stories, new people and the very best coffee in the world. 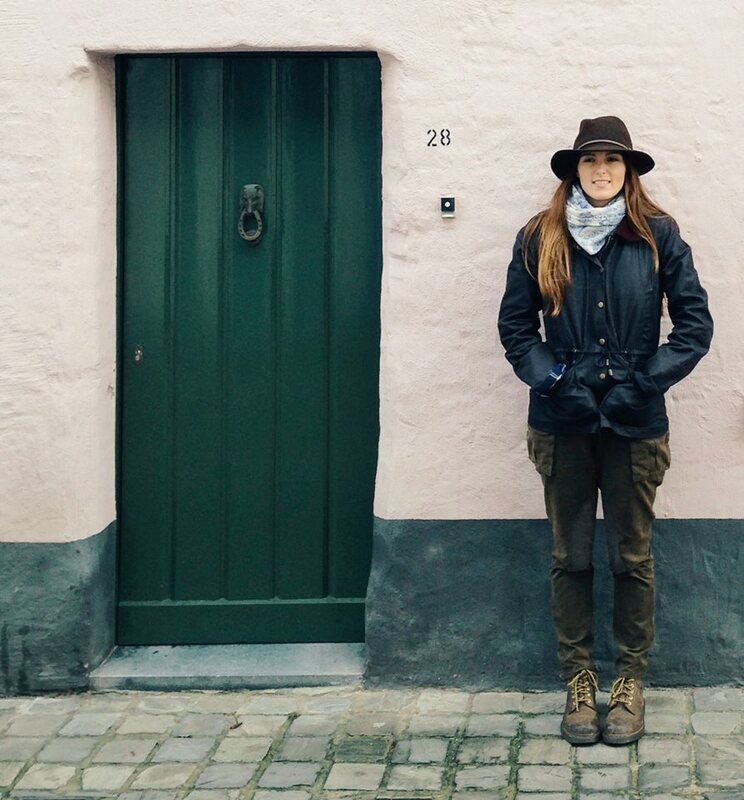 You can connect with Inge through her Linkedin profile, Twitter or Tumblr. The 1960s Pucci Air Hostess Uniforms, Ideal for Mile High "Stripping"